Providing a safe and clean environment for your patients is paramount. 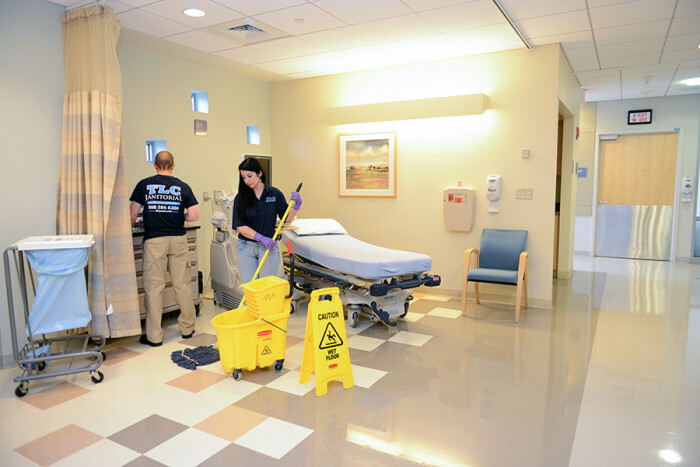 Trust TLC to properly disinfect, as well as, meticulously maintain your medical facility. We’re passionate about providing a secure, efficient cleaning service for your facility, and earning your trust while doing so. I am probably going to “echo” someone else’s sentiments! But, I want to let you know that once again, TLC’s crew was fabulous last evening. They did a great job helping with the setup and the clean up. They were at our service and it made the evening flow perfectly! We are definitely a team and they are an important part of our family. Best to you and the caring attention you deliver to our cancer center. Whether night or day, weekend or holiday, TLC will be there for you – not only for your regularly scheduled service, but also whenever a problem occurs.